On March 24, 1989, an oil tanker called the Exxon Valdez accidentally crashed into a reef in Prince William Sound, Alaska. 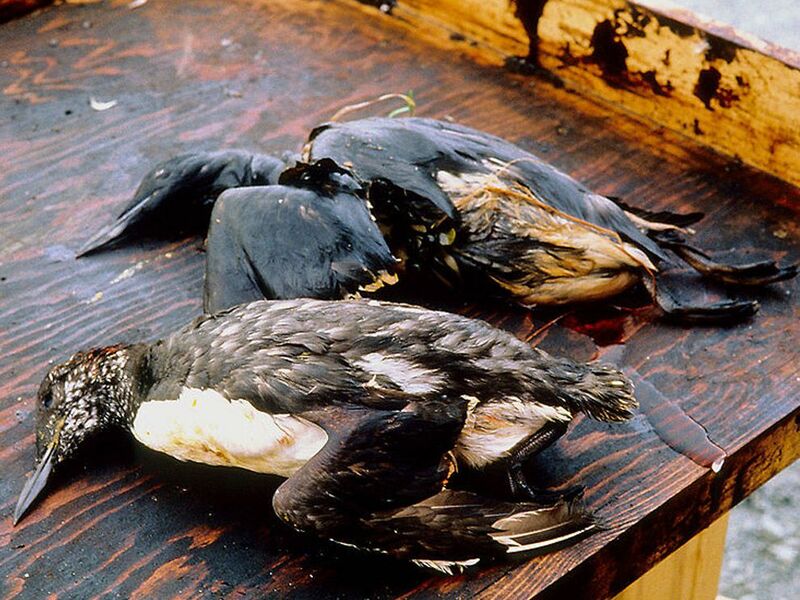 The Exxon Valdez oil spill has been linked to the deaths of between 100,000 and 150,000 seabirds. On March 24, 1989, an oil tanker called the Exxon Valdez accidentally crashed into a reef in Prince William Sound, Alaska. The tanker carried about 208 million liters (55 million of gallons) of oil. When it crashed, the Exxon Valdez spilled about 42 million liters (11 million gallons) into Prince William Sound. This spill was one of the worst environmental disasters in U.S. history. The remote location of Prince William Sound meant that emergency workers and equipment took a long time to arrive. The spill affected salmon, sea otters, seals, and birds. Exxon was fined $507.5 million in punitive damages. sudden, unplanned event that requires immediate action.